What is Blue & white R 3059 capsule? 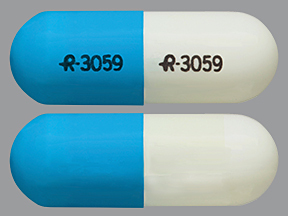 R 3059 R3059 is an imprint on a capsule identified as blue and white in a regular capsule shape. The pill contains a combination of two active ingredients, amphetamine and dextroamphetamine extended release in a fixed dose of 10 mg.
Amphetamine and dextroamphetamine belong to the class of CNS stimulants. The pill is prescribed for the treatment of ADHD, narcolepsy, and fatigue. It is supplied by Actavis Elizabeth LLC. R 3059 capsule is a single-entity amphetamine product consisted of a combination of the neutral sulfate salts of dextroamphetamine and amphetamine and the dextro isomer of amphetamine saccharate and d, l-amphetamine aspartate monohydrate. Amphetamine and dextroamphetamine are non-catecholamine sympathomimetic amines with CNS stimulant activity. Drug class: Amphetamine belongs to the class of organic compounds known as amphetamines and derivatives which contains or are derived from 1-phenylpropan-2-amine. Description: Dextroamphetamine is the dextrorotary stereoisomer of the amphetamine molecule, which can take two different forms. It is a slightly polar, weak base and is lipophilic. 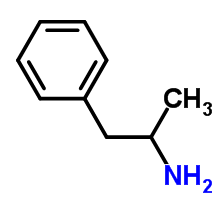 Drug class: This compound belongs to the class of organic compounds known as amphetamines and derivatives that are derived from 1-phenylpropan-2-amine. Under the Controlled Substance Act (CSA) amphetamines are a Schedule 2 drug which means that they have high potential for abuse. The drug has a currently accepted medical use in treatment in the United States or a currently accepted medical use with severe restrictions. Abuse of the drug may lead to severe psychological or physical dependence. Amphetamines of the R 3059 capsule works by stimulating the release of norepinephrine from central adrenergic receptors. When higher doses are used, amphetamines may cause a release of dopamine from the brain mesocorticolimbic system and the nigrostriatal dopamine systems. Amphetamine may also work as a direct agonist of the central serotonins 5-HT receptors and may inhibit monoamine oxidase (MAO). Peripherally, amphetamines may cause the release of noradrenaline by binding to the adrenergic nerve terminals and alpha- and beta-receptors. Modulation of serotonergic pathways may lead to the calming affect. Amphetamines also interact with VMAT enzymes and may enhance release of dopamine and serotonin from vesicles. It may also directly cause the reversal of DAT and SERT. How long R 3059 capsule stays in the system? Dextroamphetamine isomer exhibits an elimination half-life of 10 to 12 hours, thus dextroamphetamine should be eliminated from the body within 55 to 66 hours post-ingestion. A combination of amphetamine and dextroamphetamine use is recommended during pregnancy only if the potential benefit outweighs the possible risk to the fetus. This combination is classified in the category C by the US FDA pregnancy list of drugs. Studies showed that infants born to mothers dependent on amphetamines have an increased risk of premature delivery and low birth weight, and may experience withdrawal symptoms (e.g., dysphoria, agitation and significant lassitude). R 0359 capsules are not recommended during breastfeeding. Amphetamines can be excreted into human milk. The effect of amphetamine and dextroamphetamine in milk on the neurological development of a breastfed infant has not been well studied. When used in larger doses, amphetamine and dextroamphetamine might interfere with milk production, especially in women whose lactation is not well established. Do not use R 3059 capsules if you have taken an MAO inhibitor such as isocarboxazid, linezolid, phenelzine, etc. in the past 14 days because dangerous drug interaction may occur.